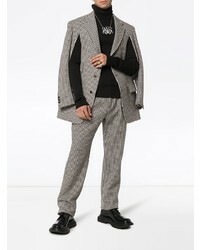 Team a Gucci check slit wool cashmere blend jacket from farfetch.com with black dress pants like a true gent. Want to go easy on the shoe front? Rock a pair of black leather derby shoes for the day. 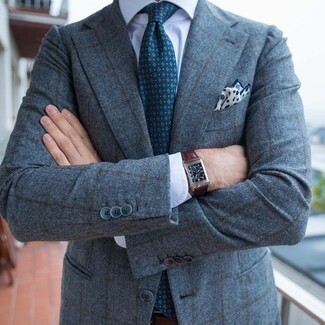 Consider pairing a grey check wool blazer with navy vertical striped dress pants like a true gent. When it comes to footwear, this getup is round off wonderfully with black suede derby shoes. 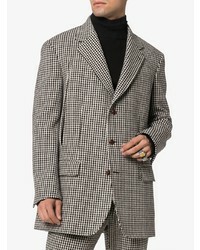 For a nothing less than incredibly stylish getup, try pairing a Gucci check slit wool cashmere blend jacket from farfetch.com with charcoal wool dress pants. Dark brown leather double monks are a smart choice to complement the look. 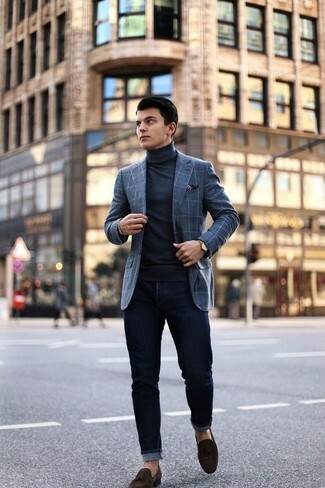 If you're after a casual yet on-trend ensemble, consider wearing a Gucci check slit wool cashmere blend jacket and navy corduroy jeans. Both items are totally comfortable and will look great together. 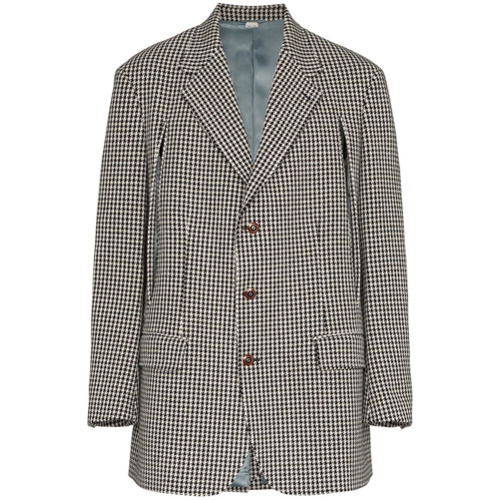 Marry a Gucci check slit wool cashmere blend jacket with a white dress shirt like a true gent. 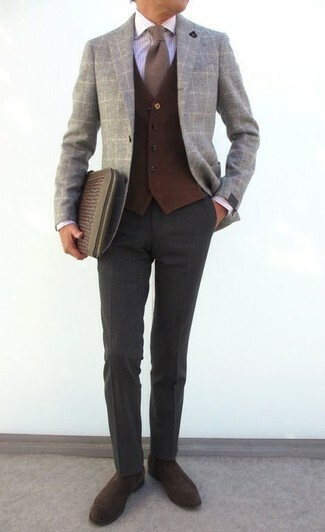 If you're after a casual yet stylish outfit, marry a grey check wool blazer with black skinny jeans. As well as super comfortable, these two pieces look great when paired together. Channel your inner Ryan Gosling and go for a pair of dark brown suede tassel loafers to class up your ensemble. 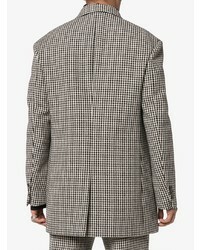 For a nothing less than incredibly stylish getup, pair a Gucci check slit wool cashmere blend jacket from farfetch.com with grey check wool dress pants. 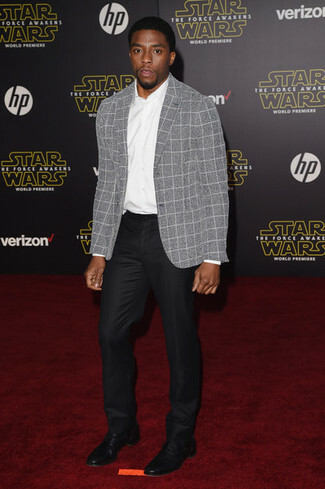 Opt for a pair of black leather loafers to make the look current. 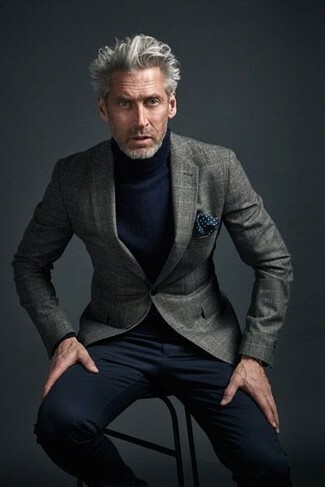 This combo of a Gucci check slit wool cashmere blend jacket and black chinos is so easy to put together without a second thought, helping you look stylish and ready for anything without spending too much time digging through your wardrobe. For a nothing less than incredibly stylish outfit, opt for a Gucci check slit wool cashmere blend jacket and charcoal wool dress pants. 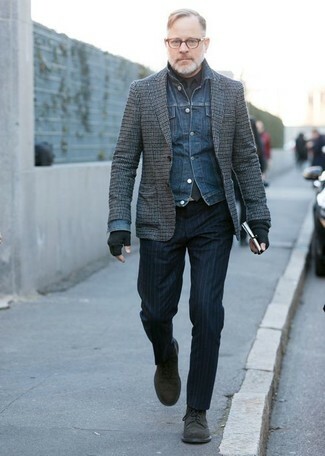 Complement this ensemble with dark brown suede chelsea boots.